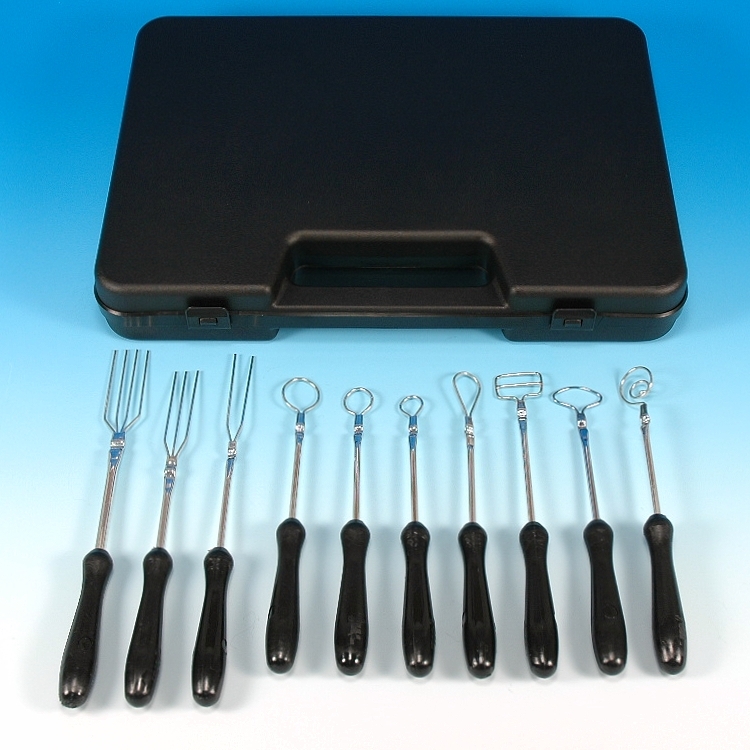 Professional Dipping Fork Set for dipping chocolates, candies and confections. 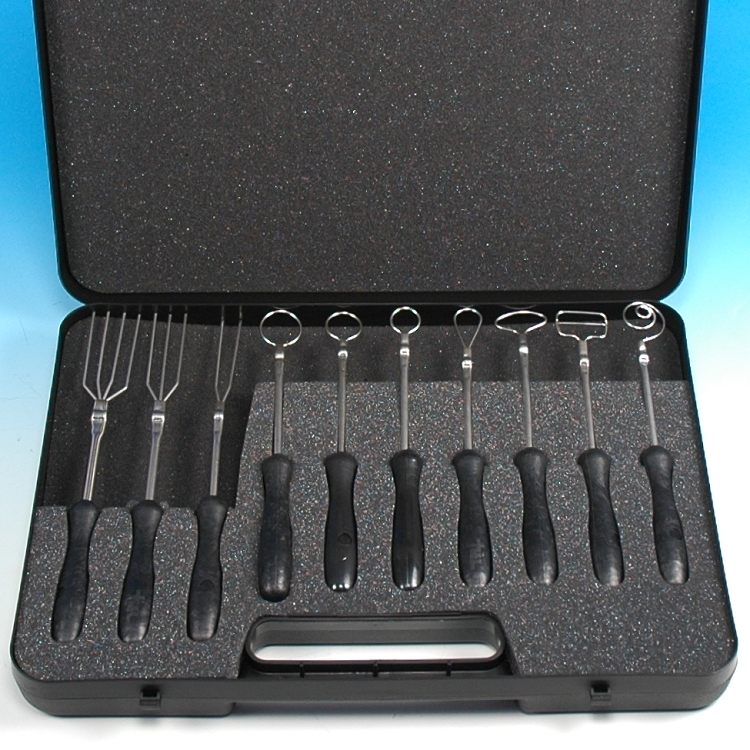 Heavy duty metal shaft with plastic handle. 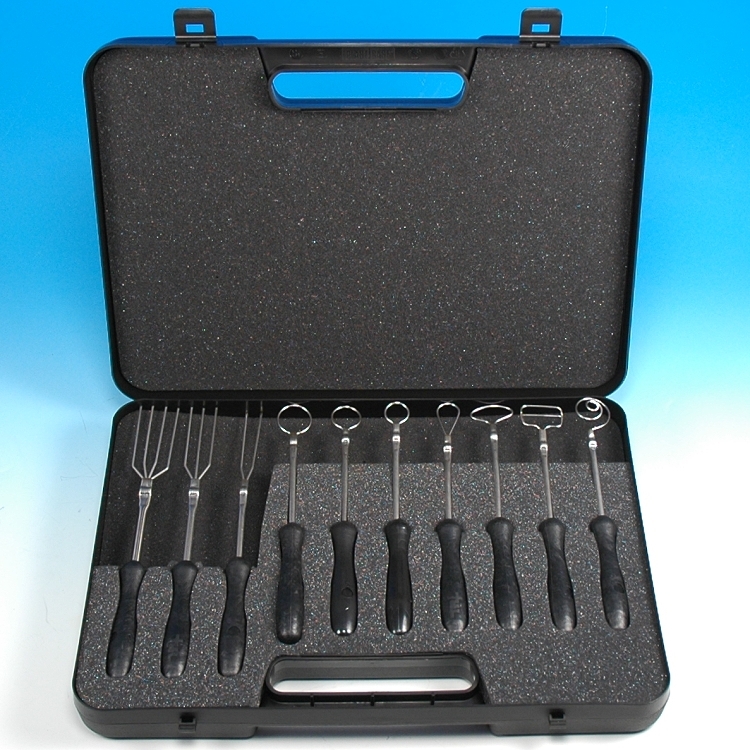 3-Round - dia: 7/8", 5/8" & 1/2"
Beautiful plastic storage case with foam inserts for secure storage.